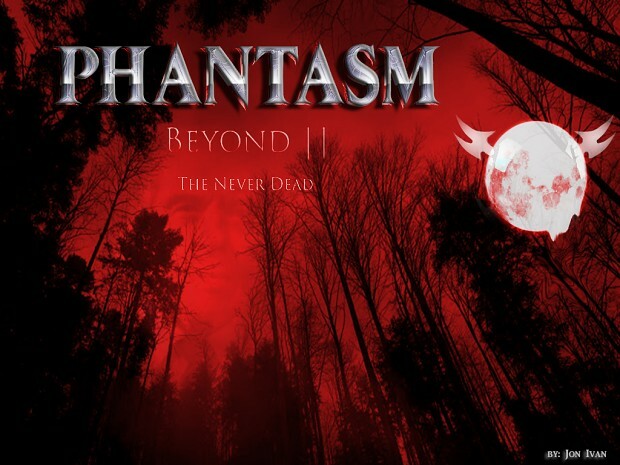 Phantasm Doom 3 Mod Collection Phantasm D3,Phantasm Beyond and Phantasm Beyond 2, reworked and re-mastered into one complete doom 3 mod follow the readme instructions for installation. If your a fan of the Phantasm movies this will put you in the game as reggie in some adventures from some of the films. This will require DOOM 3 (2004) 1.3.1 (this is the MOD only)just place the TheNeverDead_D3Mod folder in your doom 3 folder and start the game through the mods menu as Phantasm Beyond 2.... the stand alone version will come later on. Any future changes or additions will be put into the stand alone version, for this the mod version I feel it's complete enough for public release. Thanks Everyone! Awesome its released, thank you for all the hard work and I'll be playing this very shortly. For anyone that hasn't read my comment on the summary page I will be issuing a patch to address some concerns some are experiencing. one will be the shotgun reload, and machinegun recoil, as well as overspawns and some lighting issues. please stay tuned for updates, Thanks! Patch uploaded, please use it, Thanks! Patch Updated to V4. Huge fix. Thanks everyone! Please read the description above for installation, thank you. why is it so dark ....i cant see anything ! i do mean nothing ! i did everything right i believe and added the patch ..all 3 game are so dark you can not play them. and yes i tried turning the brightness up all the way in the game .....no good. check the readme included with the mod for some suggestions, perhaps the autoexec lightscale can be adjusted you can use notepad to adjust the file. also did you try nightvision? press the x key to toggle off and on. thanks it's all I can think of since it's hard to tell from here what your setup is. I was gonna give you a screen shot but I don`t think it`s possible on here. Thank You! I'll help best I can ,I would like you to have a great game experience. This stuff isn't always easy to make. patch_v5 soon also, we'll see. do also try another computer and see as well if there is any difference, some run NVidia some run ati. Does this work with Doom3 BFG edition? I can't seem to get it to work with a mod launcher, fails and says it can't load stuff. BFG edition is NOT supported, this is for the 2004 doom 3 updated to 1.3.1 edition, thanks!